18 min. w/24-page PDF guide. Human Relations Media. 2018. $149.95. Streaming $149.95 (1 year), $74.95 (30 days), $49.95 (7 days). ISBN 9781627060981. Gr 7 Up—This short program looks at what's known and what research is still needed on how marijuana affects still-developing brains. 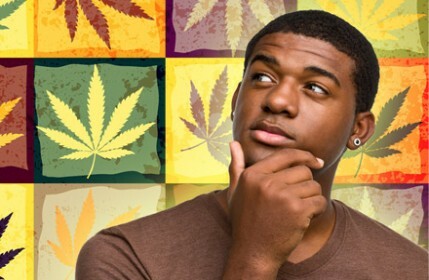 Aspects like the effects on IQ loss (up to eight points in teens) and the high amounts of the chemical THC (up to 20 percent as opposed to 1 percent in 1969) are among the subjects addressed, with commentary from medical professionals and teen users. The areas in the brain that are affected, addiction rates, cardiovascular risks, and the unknown amount of risk for lung cancer are also examined. The need for more research into the correlations between marijuana use and mental health issues is raised, too. Clear graphics and a question-and-answer format contribute to this solid production. If there is an area where the information is a bit off-putting, or slanted, it's on the value of medical marijuana, which the program downplays, even its use for chronic pain. VERDICT Schools and libraries in need of more drug prevention material will find this concise and information rich program a useful addition to their collections.